SG Food on Foot | Singapore Food Blog | Best Singapore Food | Singapore Food Reviews: Imperial Treasure Fine Teochew Cuisine @ ION Orchard - How Did It Get a Michelin Star? 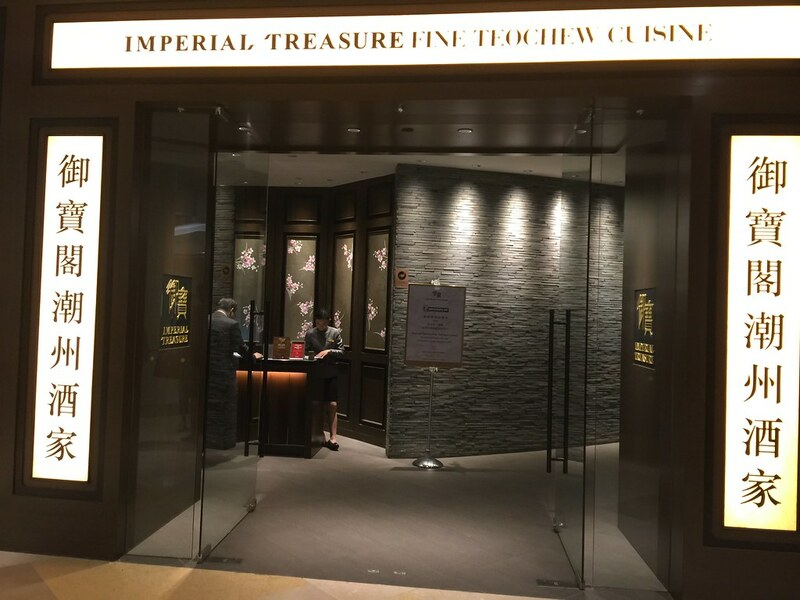 Imperial Treasure Fine Teochew Cuisine @ ION Orchard - How Did It Get a Michelin Star? 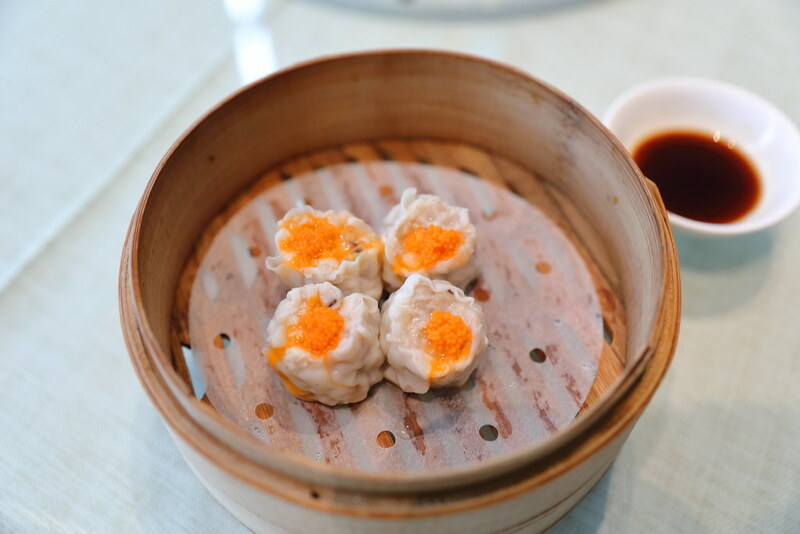 From the dim sum menu, we tried the Steamed Teochew Pork Dumpling ($5.60). What exactly is Teochew siew mai? Apparently it comes with only minced pork and bamboo shoot, without the sweet and crunchy prawn. I have to say it tasted rather pedestrian, so ordinary that someone in our group associated it with those dim sum items we can get at food court. For the soup, we tried both the Pig Stomach Soup ($12) and Fish Maw Soup ($15). 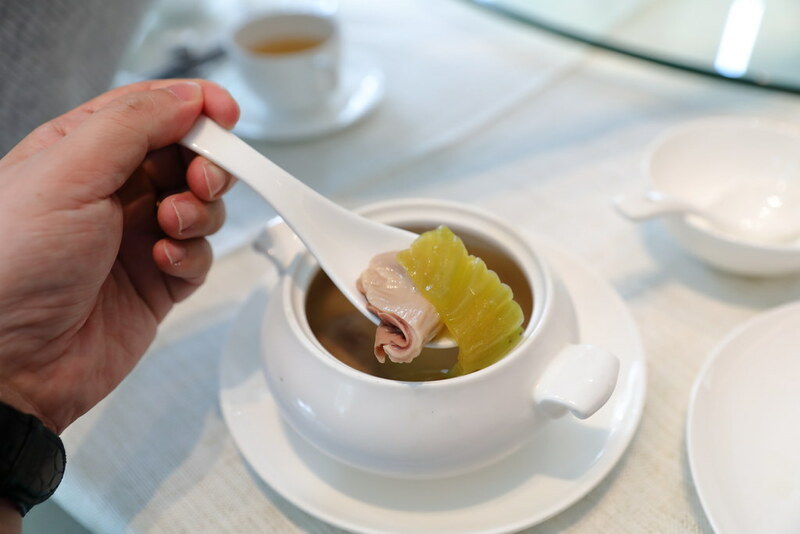 The pig stomach soup has a good peppery kick to it. I like the fact that it comes with salted vegetables giving it an extra layer of flavour. On the other hand, the fish maw soup was rather different from what I used to have. It comes with minced pork and seaweed. It felt more like having a bowl of bak chor mee soup. Teochew cuisine is known for the braised items, so we ordered the Teochew Braised Combination ($51). We picked the duck meat, duck tongue, pig ear and pork knuckle to form our platter. While the meats are cooked to a nice tender and enjoyable texture, I though the braising sauce was rather bland and lacked the aroma from the spices such as star anise, cinnamon etc. 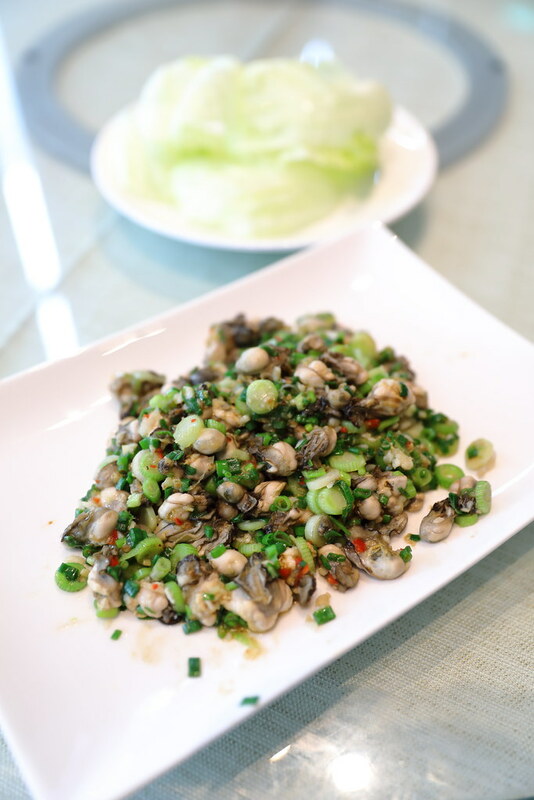 The Sauteed Small Oyster with Green Onions ($42) which is recommend by the manager turned out to be quire good and interesting. 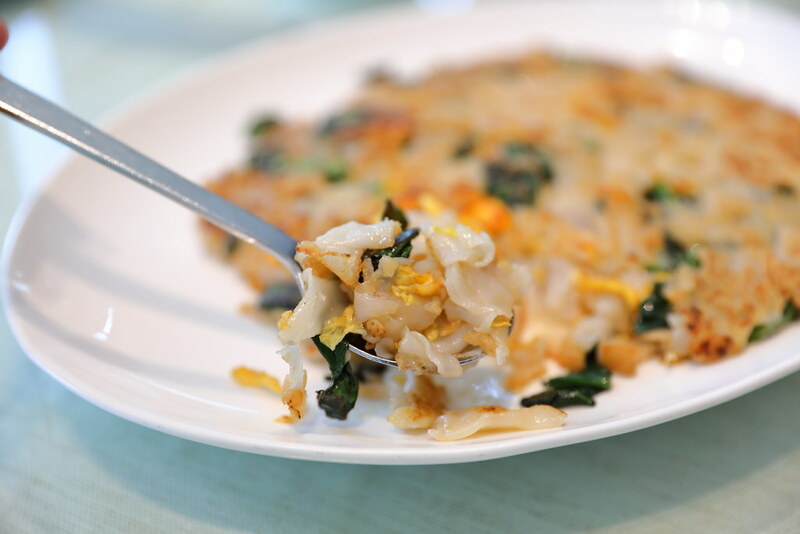 I have eaten fried egg with shark fin wrapped in cabbage but the sauteed small oyster with green onions is new to me. 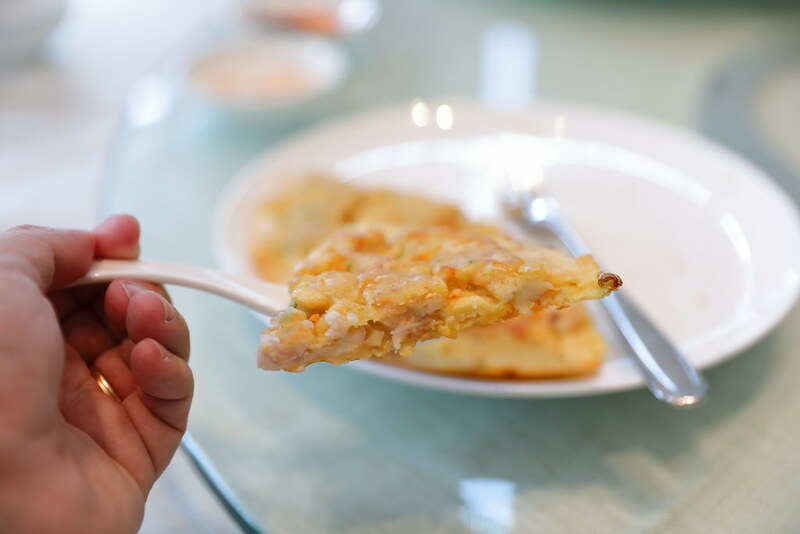 Usually I will ordered oyster omelette whenever I visit a Teochew restaurant. However I noticed something interesting on the menu which I have not tried before, Pan Fried Flour Omelette with Taro ($33). 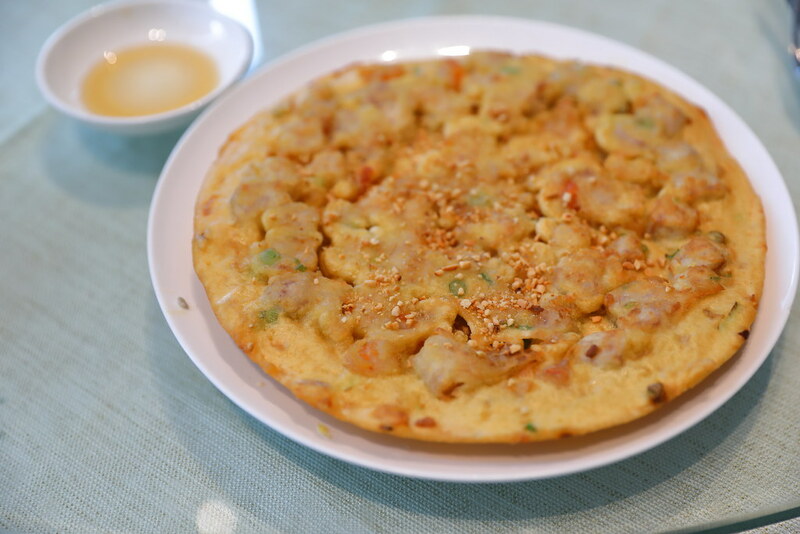 The crispy omelette comes with chunky taro cubes which was very fragrant. Have it together with the accompanying fish sauce for a lift in enjoyment. 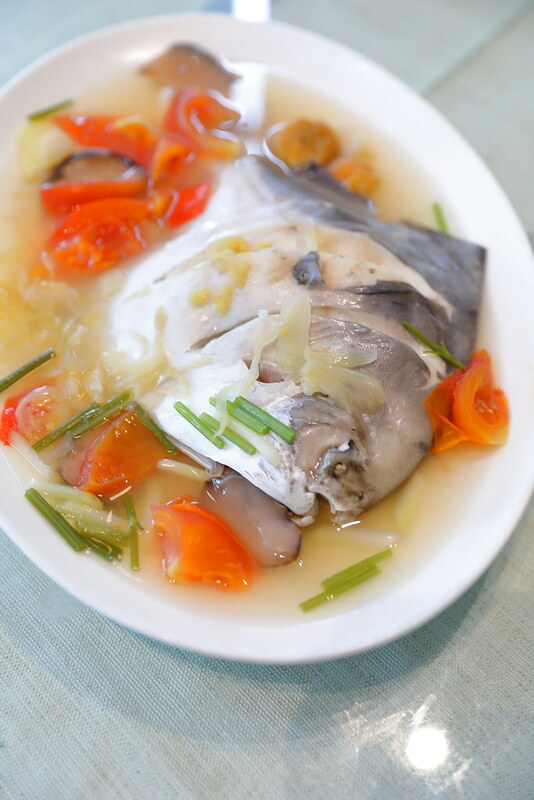 The Steamed Promfret ($132) is another classic Teochew dish which I always order. Unlike other steamed fishes, promfret does not come cheap. Putting the price aside, the timing in steaming the promfret is spot on with the nature jus of the ingredients flavouring the soft and moist promfret's flesh. The Cai Po Hor Fun ($27) was decent but not wow. I have had better one elsewhere. It would be nicer if they have used the stem of the kai lan, diced it to get the rice noodle an extra crunch bite. I would advice skipping the dessert. The portion was really small and expensive. 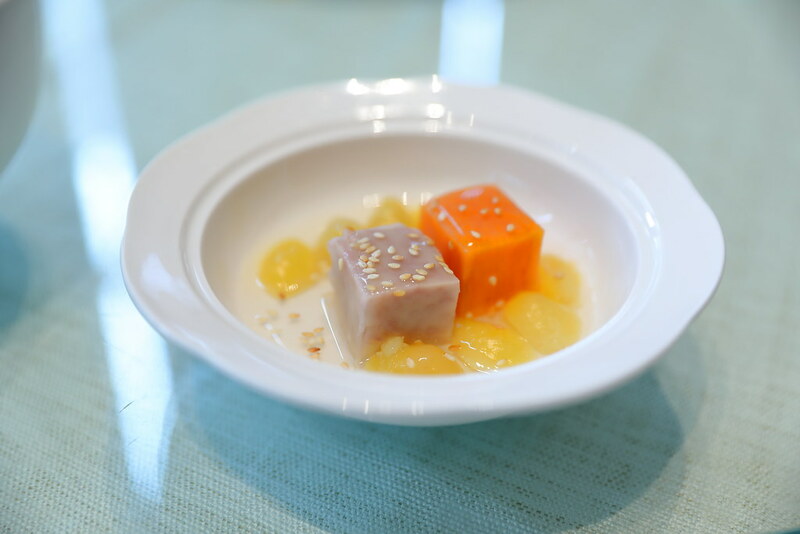 The Three Treasure ($6) I had comes with a sweet potato cube, yam cube and some ginkgo nuts. For the price, I probably can get a bag of sweet potato and yam. After lunching at Imperial Treasure Fine Teochew Cuisine, we left the restaurant rather puzzled and confused with one thought in our mind. How did the restaurant get a Michelin Star this year?